Mary here. I'm currently in the process of dying the sheets yellow to make them into walls for our pavilion and Ali showed me a neat trick. I was trying to get the washing machine to agitate but, it had a mind of it's own by wanting to drain. 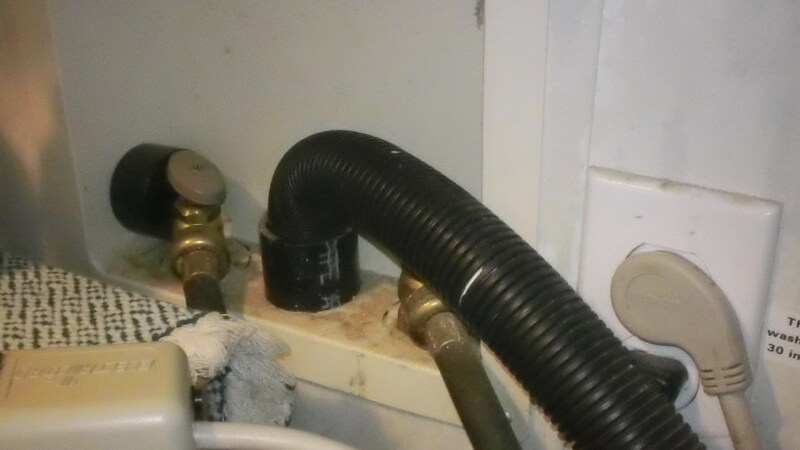 He showed me how to take the drain house out of the pipe in the wall and point it back into the washer. It's a lot like a vacuum cleaner hose. It just comes right out of the drain. I never knew that. 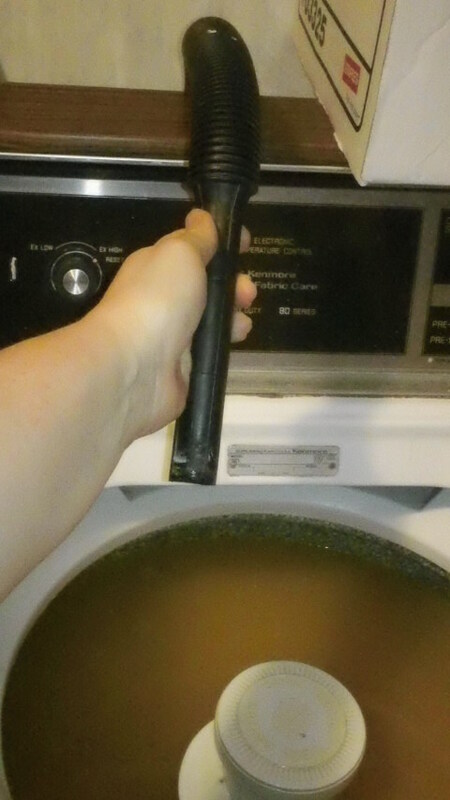 This is so that if the washer starts to drain when I don't want it to, the water will just go right back into the machine. I let it agitate for a full cycle and held on to the hose. Then when the cycle stopped, it started to drain, right back into itself. I found that quite amusing so I let it do that for about a minute. I put it back on agitate for a little bit longer and stopped it. I'm giong to let it soak for an hour. Keeping fingers crossed on this dye job! If they don't come out half way decent, I'll probably save my pennies for some heavy weight broad cloth or duck canvas, whichever is cheaper, and make new walls.